"There's action, adventure, mythology, and a backstabbing twist that will leave you begging for more! Every YA lover should pick up this series." "Full of action, adventures, magic, Greek Gods, demigods, witches and monsters - you don't want to miss out in this wonderful world!" 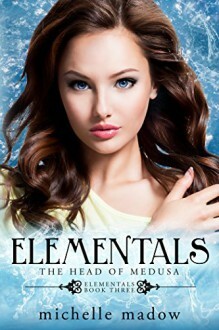 A thrilling fantasy adventure in a contemporary setting with Greek mythology and sweet romance, Elementals is a YA series that will keep you on the edge of your seat wanting more!